Eight Siberian tiger skins, including those of little tiger cubs, were recently seized from a resident of Arseniev town in Primorye in the Russian Far East. The culprit is well-known to the local police. He has been buying illegal wildlife products since the 1990s and had already been arrested several times. He allegedly bought the tiger skins from regional poachers to sell them in China. Poaching is a very significant threat to the long-term survival of the critically endangered Siberian (or Amur) tiger populations. 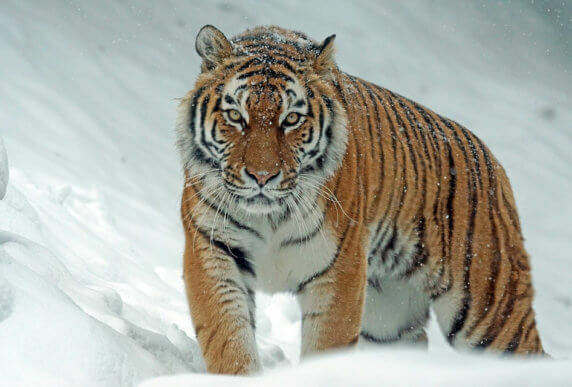 Humans are responsible for about 75 percent of all Siberian tiger deaths annually. And only 400 to 500 individuals are estimated to still be roaming the wilds in the Russian Far East. 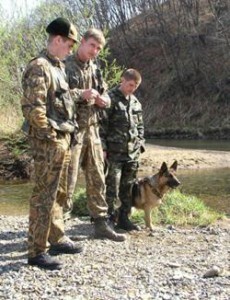 Public anti-poaching brigades help protect the Siberian Tiger and other endangered animals from poachers. Tigers are a protected species in Russia, but enforcement agencies rarely catch and convict poachers, and punishment or fines are relatively minor. In addition, in many poor rural areas of the Russian Far East the price paid for a tiger skin and bones represents substantial income. Every year, we invest in the protection of the endangered Siberian tiger, Amur leopard, and Himalayan black bear. Our grantee, the Phoenix Fund, is a champion for protected area and habitat conservation. The group also supports local brigades that conduct anti-poaching raids—an effective and necessary strategy that helps reduce poaching activities in remote areas not regularly patrolled by the police. Habitat-destroying forest fires are another serious threat to the Siberian tiger and Amur leopard—and a significant source of Arctic ice-melting black carbon. That’s why we also support the Phoenix Fund’s volunteer fire brigade, which prevents and fights fires together with park staff in two regional wildlife preserves. 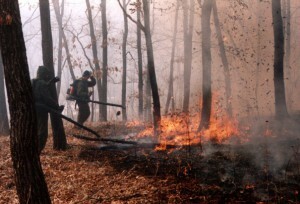 Farmers in rural Russia often intentionally set fires to clear cultivated lands of crop residue or brush from pastures. Poorly controlled, they frequently lead to uncontrollable forest fires. These fires contribute over a third of black carbon emissions in the Arctic, with Russia responsible for about 43% of them. The fate of endangered wildlife rests in the hands of the people of the Russian Far East. But we are with them as they fight to preserve wild lands, protect endangered species, and strengthen environmental laws—through direct financial support and capacity-building projects.